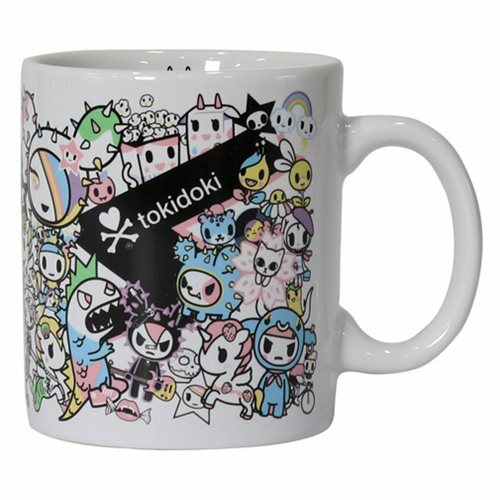 Spice up your morning with this Tokidoki Pastel Pop All Over Print Mug! This adorable mug features some of your favorite Tokidoki characters in a fun pastel theme. Measures about 5-inches long x 4-inches tall.